Our range of products include tom yum soup, palak soup powder, dal shorba soup, chilli soup, karela soup powder and thick premium tomato soup. 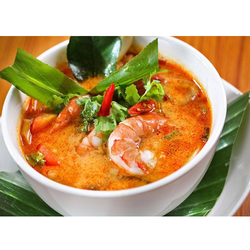 Description: Tom Yum Is One Of The Most Popular Soups In Thailand. Tom Yum Soup Offers Taste Characteristic Of A Tom Yum Soup Base With Spicy Notes In The Background. Ingredients: Salt, Acidity Regulators ( E 330, E 396), Hydrolyzed Vegetable Protein, Yeast Extract, Kaffir Lime, Taste Enhancer ( E 627), Sugar, Dextrose, Red Chilly, Green Mint Powder, Onion Powder, Vegetable Oil, Garlic Powder, Lemon Grass, Anti Caking Agent ( E 551). Applications & Recommended Usage: Add 30 Gms. Premix To 1.25 Litres Of Hot Water. 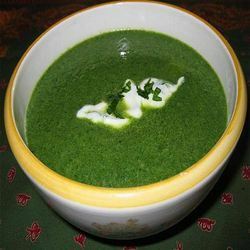 Description: Palak Soup Powder Offers A Taste Characteristic Of A Palak Soup With A Creamy Note In The Background. (a Few Softlumps Are Permissible). Ingredients: Palak Powder, Tomato Powder, Corn Flour, Veg Ghee Powder, Salt, Ginger, Onion, Garlic, Green Chilly, Acidityregulator ( E 296). Applications & Recommended Usage: Add 12 Gms. To 100 Ml. Of Hot Water. Shelf Life: 1 Year When Stored As Recommended In Its Original Packaging. We are considered as most recognized manufacturer, exporter, wholesaler and supplier of Dal Shorba Soup. It offers nice creamy mouth feel characteristic of boiled lentils followed by a spicy Indian tempering profile. This product is prepared by our food experts, who make use of optimum quality ingredients & contains permitted natural color ( E 100 ). Offered product is best regarded for features such as freshness, highly nutritious, purity and so on. 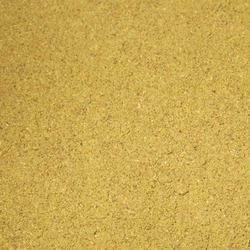 Allergens: Milk and Milk Products Soya Based Products. Applications & Recommended Usage: Add 7 gms. to 90 ml. of hot water. Shelf Life: 13 months when stored as recommended in its original packaging. 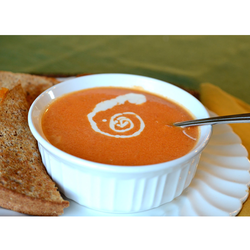 Description: Soups Offers A Taste Characteristic Of A Tangy Tomato With Sweet & Spicy Savory Note In The Background. (a Few Soft Lumps Are Permissible). Ingredients: Tomato Powder, Corn Flour, Sugar, Dextrose, Salt, Taste Enhancer ( E 621), Acidity Regulator ( E 330), Spices And Condiments, Beet Juice Powder.Contains Permitted Natural Colour (e 100).this Package Of Tomato Soup (clear) Contains Addedmonosodium Glutamate. Not Recommended For Infants Below 12months. Applications & Recommended Usage: Add 6 Gms. To 100 Ml. Of Hot Water. With our immense domain expertise, we are affianced in offering Karela Soup Powder that is highly nutritious. Our product is an easy and inexpensive way to get powerful natural immune system. Offered product is used to prepare highly nutritional soups. Delicious and tasty, these are offered at industry leading prices to our clients all across the globe. 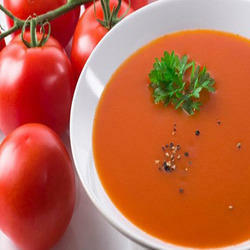 Description: Tomato Soup Powder (thick Premium) Offers A Taste Characteristic Of A Thick Tomato Soup With Sweet & Spicy Savory Note In The Background. (a Few Soft Lumps Are Permissible). Ingredients: Malto Dextrine, Corn Starch, Tomato Powder, Sugar, Salt, Taste Enhancer ( E 621), Stabilizer ( E 412), Milk Solids, Onion Powder, Garlic Powder, Spices & Condiments, Yeast Extract, Acidity Regulator (e 330), Beet Juice Powder, Softening Agent [ E 500 (ii) ], Anti Caking Agent (e 551). Glutamate. Not Recommended For Infants Below 12 Months. Applications & Recommended Usage: Add 10 Gms. To 100 Ml. Of Hot Water. We offer wide range of Instant Soup. 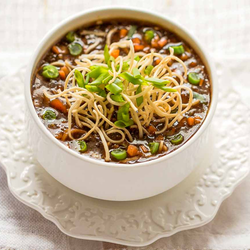 Possibility to incorporate vegetables, noodles and pastas in our soups on request. We can design a “jain” soup variant for each of the above mentioned soups. 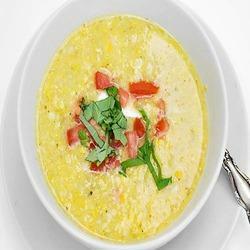 These soups can be designed in low cal. Options too. Microbiological reports can be offered on request. Our organization is engaged in offering Cream Soup. 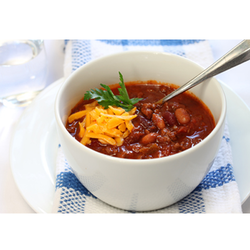 This soup is highly appreciated by our clients due to its perfect composition and superior taste. 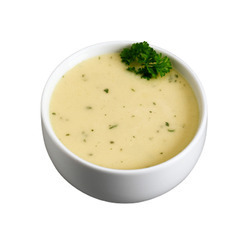 Offered creamy soup made up of ingredients like dairy Whitener, Sugar, Potato Starch, Salt, Flavor Enhancer ( E 621, E 627), Fat Powder, Cream Powder, Onion Powder, Garlic Powder, Stabilizer ( E 415), Yeast Extract, Dyhydrated Coriander Leave, Acidity Regulator ( E330). This product is known among customers due to their mouth watering taste, purity, long shelf life & freshness. Allergens: Milk & Milk Based Products. Applications & Recommended Usage: Add 8 Gms. To 100 Ml. Of Hot Water 10 To 20 Gms. Meat/vegetable Puree Boil The Mixture For 3 To 4 Minutes Stiringoccasionally. 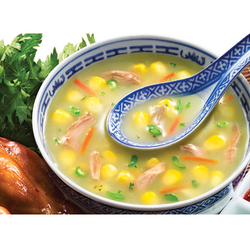 To meet the clients ever changing demands, we are involved in offering Hot Corn Soup. Easy to process, these soups are processed from optimum quality ingredients like corn powder, soya sauce powder, edible starch, sugar, salt, garlic, green chilly, vegetable ghee powder, ginger, taste enhancer ( E 621), onion powder, acidity regulator ( E 330), black pepper, coriander leaves. These are widely demanded by clients owing to its high nutritional value and refreshing flavor. 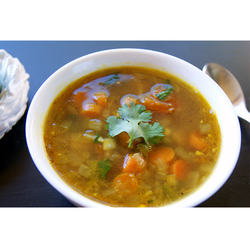 We have emerged as a reputed manufacturer, exporter, wholesaler and supplier of Mix Veg Soup. This soup is made at our hygienic processing unit using carrot powder, cabbage tomato, capsicum, corn starch, sugar, vegetable ghee powder, soya sauce powder, taste enhancer ( E 621), green chili, onion, garlic, acidity regulator ( E 296), beet juice powder, turmeric extract powder. Long shelf life, freshness, high nutrition content and precise composition are the salient properties of our product. Allergens: Soya based products.Applications & Recommended Usage: Add 12 gms. to 100 ml. of hot water. Description: Mun Chow Soup Is An Indo Chinese Soup. It Offers A Taste Characteristic Of A Mun Chow Soup. This Package Of Mun Chow Soup Contains Added Mono sodiumglutamate. Not Recommended For Infants Below 12 Months. Allergens: Soya Based Products.Applications & Recommended Usage: Add 7 Gms. To 90 Ml. Of Hot Water. 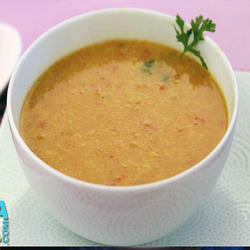 Description: Sweet Corn Soup Offers A Taste Characteristic Of A Sweet Corn Soup With A Mild Spicy Note In The Background. (afew Soft Lumps Are Permissible). Looking for Cooking Soup ?